Commanding, prophetic, and fiery an Aries is the first sign in the Zodiac series! Like a coin has two faces, an Aries also does. Though they are self-centered and compelling, their approach to the world is innocent as that of children. Primal in nature, they represent the free will and ego in its purest form. 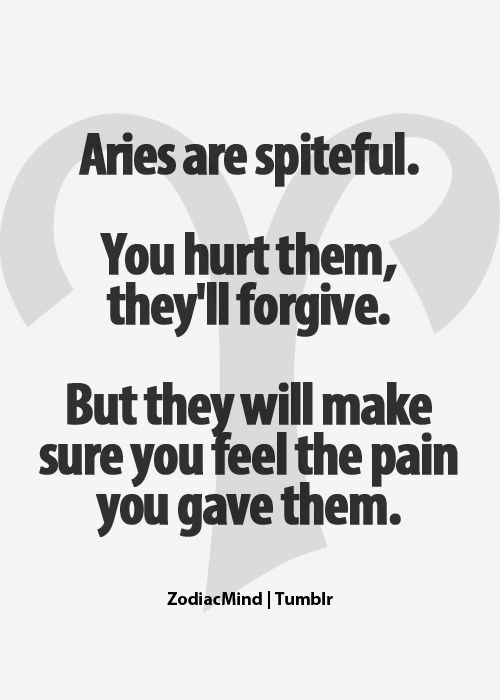 Here are a few things which you should know about the Aries in your life. Aries love to exist the way they are rather than contemplating the reasons behind what they do and what others think of them. Aries are spontaneous, open, and frank. But on the other hand, the risk of breaking down is higher when they lose their confidence and are not given the time of their day. They have a desire to lead but at times are not able to nurture the inborn quality of leading in a right way. This makes them look selfish and frustrated. However, whenever they provide the right direction to their leadership skills, they prove to be the most idealistic and fruitful sign of the Zodiac panel. Usually, they have a bug of exploration inside them. You can call them natural adventurers. Very particular about their preference, they are straight shooters. Independent and optimistic beings do well with an Aries. The perfect partner in crime! Boredom will be converted into an adventure if you tag around an Aries. They have a bucket full of wit, sarcasm, and loyalty. Lying to them is not a good idea. Befriending them means spending your days with a childish yet a sober personality. Dating an Aries is exciting! Once they love, they do it with utmost dedication! They do not consider the risk of the limb if their beloved is in danger. Thrilling, loving, and curious they are best suited for the people who know the tactics to control their impulsiveness. They cannot be restricted. Hence, they want partners who are capable of maintaining a balance between compassion and freedom. On the compatibility scale, Gemini is the most whereas cancer and Capricorn are the least compatible with Aries. Dominant and surprising they are Wild! If not stopped they can carry it all night long. Being a fire sign, they are passionate and bold. As they are competitive they will never stop until they please their partners. Be free and get rolling in Bed! Ruled by the head, painful migraines and severe headaches often knock their doors. Always active, their body fights for rest and relaxation. Their insecurity is their biggest enemy. Due to this, they live life under a perpetual fear which makes Aries behave crazy in front of their crush. Moreover, this fear is reflected in their love and hate relationships. Their greatest fear of is being hurt again. In the nutshell, an Aries is enthusiastic and do not like things in a subtle way. Longing to move ahead and best of friends, if you have an Aries in your life you will never lack confidence. Each one of us here craves for a perfect relationship which has excellent communication as its base. But ever wondered if telling everything has some ill effects? To have a healthy and happy relationship, you must figure out the things that are better left unsaid. Yes, good communication and transparency are required, but at times this becomes the sole reason for the clinginess between you two. Now, we aren’t saying that cheat on your partners, but for some shared benefits avoid telling almost everything irrelevant that pops into your head. To prevent the hustle of sorting the stuff about what to tell and what not we have listed a few things you should never tell your boyfriend. Would you like if he does the same? Of course not! You would burn into flames then why to make him feel insecure? He and only he should be in your mind. Yes, window shopping is no harm, even if you do keep it to yourself. 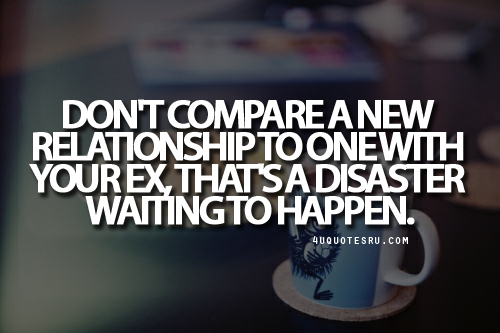 Never make the mistake of comparing your present partner with your ex. Surely there might be a big reason for why your ex is your ex and not your present. Leave him there itself. Now, you have a new person who loves you. Guys hate being compared, especially with your ex. If you start a conversation with these wordings your boyfriend might get defensive. This would make him jump to wrong conclusions resulting in tiffs between you two. A single line of yours and he will transform into a man walking on a grave. In return to this, he might bash you on behaving like his mom and being extra careful. Moreover, inside you also want a blend of spoiled child and a sober man. So, zip your lock when necessary and cherish the essence of the beautiful bond that you share with your boyfriend! The tiff between Friends and Boyfriends is never ending. The former has been with her through all the roller-coaster rides of her life while the other has bought an all new meaning to her life. To choose between these 2 gems has never been easy, but it seems girls value their friendship more than their love relationships. So, before you get into a relationship with your dream girl, make sure she doesn’t have a best friend, I mean definitely not the one in Pyar Ka Punchnama. Have a look at the reasons which convey why girls are inclined more towards their friends. And you never know, these might act as best relationship tips for you. Once a girl has chosen her soul-sister, dare you to replace her! They might fight like cats but in hard times you would watch them being each other’s back. Oh! Just to be a clear, a girl never finds a soul-brother in her best male friend. Fights with best friends are free from any knots whereas a single fight with the boyfriend can ruin the fairytale dreams. Friends have been stuck to her for obviously a longer period of time and anybody would place their old relations above the new ones. From her grunge and gross dress up as a teen to a perfectly dressed adult, they have seen it all. Although, there’s no denial that boyfriends can do romantic things to melt their women’s heart, but friends steal the show often. When compared to long hours spent with boyfriends, even a few minutes with friends feel more honest and relaxed. She is an open book in front of her friends. Moreover, she can share anything and everything with them. Therefore, being loyal is not a big task for her. After all the pebbles that life has thrown at her, she has got her friends to bring her back together. Boyfriends might become ‘ex’ but friends are never getting older. Be it the scolding of her parents or a fight with boyfriend, she finds home in her friend’s hug. All crazy and quaky things find their place in her friend’s lap. She can be drenched in foolishness and still no one would judge her. They have their own humorous dancing steps on the world’s weirdest yet funniest songs. Her A-rated talks find a higher level when she is with her gang. Most of the fights in a relationship revolve around the space each partner need. They quarrel over minimal things results in a tensed atmosphere. But with friends, you need no space as you already have the freedom of speech and action. Friends spend long hours in her house doing nothing as if it is their own house and her parents are their parents. Also, with passing days they become a part of her family, while on the other hand, she needs to think hundred times before bringing her boyfriend to meet her parents. The season has begun when all you have is oily scalp and sickening hair fall. With the beginning of Monsoon, an alarm for extra hair care has to be set. It’s time for you to pay a little more attention to your long locks. For building a shield of protection, you need to incorporate good hair care products accompanied by proper oiling and washing routines. Rainwater is usually acidic which is harmful to your hair. You might have the urge of getting under the drizzling water of rain but remember your hair is more important to you. Try to keep your hair as dry as possible. Cover your hair properly when you are out in order to protect them against harmful pollutants. Eating healthy is the key to healthy hair. During monsoons, your hair gets weaker. You need to have a high protein, mineral and vitamin diet. Consider eating spinach, yogurt, foods rich in omega 3, salmon, eggs, walnuts, etcetera. Oily Scalp, Hairfall and Dandruff are three devils which stick to your hair during this season. You need to wash your hair regularly in order to avoid these problems. But this also has side effects as shampoos today are full of harmful chemicals. The ideal choice is to have herbal shampoos which strengthen your hair and are least harmful. Hair during monsoon, become frizzy and unmanageable. Comb your hair with a wooden comb having wide tooth instead of using plastic combs. Wooden combs untangle your hair without any breakage. Oiling and massaging your scalp on regular basis is the best thing you could ever do to your hair. The process of oiling increases blood circulation resulting in healthy roots. Strengthened roots defeat Hairfall which automatically increases the volume of hair. It keeps hair frizz free and soft. In order to prevent dandruff, add some lemon juice to coconut oil. After massaging it over the scalp cover your hair with a warm towel for 15-20 minutes. Next, wash your hair with mild shampoo. Try this twice a week for a month and you will notice the difference. Hair forms an important part of one’s personality. Silky smooth hair is all we desire to have. In order to have beautiful long locks, it’s mandatory to look after them properly. Follow the above-mentioned tips to have shiny frizz free hair during the monsoon season. Receiving love and affection from that one special person, boyfriend, means the world to us. No doubt a girl once in love with someone leaves no stone unturned to make her better half feel loved and happy. Coming to us, it is a huge myth that we fall for big and flashy things. Instead, it is the cute little things that our boyfriends do that make us feel on the top of the world. Love is the most amazing feeling one can share with someone with complete loyalty for a lifetime. No matter how kiddish and troublesome they get at times, they are the ones making us feel lucky and positive about life. Here are a few things our boyfriends do that melts our heart and we can’t stop awing at them! Yes! Yes, Guys! That’s all! The sudden compliments that boyfriends pass to their girlfriends just make their day. The intimacy and love in your whisper lead to a swarm of butterflies in her stomach. The sexiest thing about a man is his amazing fragrance. A guy’s irresistible smell makes women go crazy for you and therefore all she wants to have is YOU! Boyfriends really have no idea what their good morning text means to their girlfriends! The cute text makes her feel wanted which in turn makes her a keeper of you. Your text adds a spark to her dull morning otherwise. Nothing in this world is more passionate than an alluring kiss on the forehead. It shows your respectful and protective behavior towards her. There go your fingers over her palm giving her goosebumps and making her realize that you won’t let her go anywhere. Long hugs from back with slight kisses on the neck can make any girl go weak on knees. The sudden rush of her blood leaves her feeling aroused and enamored. Remembering everything about her friends is a sign that you are serious about her. Your involvement makes her feel good and secure. Introducing her to everyone you know with complete faith and confidence is all she needs. Grabbing her, kissing her, talking to her in her eyes, noticing the inner beauty she possesses and everything that combines to form a perfect cuddle is the cutest and the most amiable thing for your girl. This gives her a chance to get more into you. Even though you aren’t a great singer, grab her waist, pulling her closer run your fingers through her hair with the touch of your lovable humming in her ears. Your magical tunings will seem as melodious as honey to her as it is a way of showering love upon her. Grooving a little is an icing on the cake. Telling her about your ambitions, your fears and insecurities might not always get you solutions but it surely gets you an extra care and love. You get more comfortable and easy to handle. Seeing you happy and relaxed takes the lines off her forehead. You tend to build a deeper mental and emotional connection as you discuss things with her. Relationships are built on trust, love, sacrifices and honesty. It’s important to have a note of things that make you partner happy. After all being by the side of your love forever is not in everyone’s destiny. If it gives you it knows to take back. So, cherish the small things you offer to each other! The myth that men do not possess feelings creates relationship problems. Men are generally considered as the feelingless gender. Since the beginning of time, men are taught not to cry, and not to express themselves if they feel bad about something. And therefore, men feel that after a bad day at work, going to a bar and grabbing some drinks to relax is a better option than going home and answering their wives as to what is wrong? It happens because men do not ace at the art of expressing their feelings. They often convert their sadness into anger or pride. This is why people have this notion that men do not have feelings; however, we forget that men are always taught to be strong, confident and stoic, which is why they start equating emotions as weakness. To lead a better life, men need to learn how to express their sentiments and emotions with their wives or girlfriends. This will further lead to a healthier relationship between the two. Also, as they say, ‘sharing is caring’, the more we share with our partner better it is for both, and everything around will be good. If you think back on your childhood heroes, chances are that most of them were tough, independent, unbeaten and confident men who managed to remove any obstacles (often with violence) that might have gotten in their way. These childhood heroes of ours have contributed in developing certain aspects of our character, they probably didn’t offer a lot in the way of teaching us how to be open and honest about our emotional state. The concept that guarantees the dominant social position of men and subordinate social position of women- hegemonic construction of masculinity. Men, since their childhood, are brought up to take care of their sisters, mothers and wives. This has been infused in their minds that they are the ones who are the bread-earners of the family, have to take the entire load and are not supposed to mention if they feel stressed. 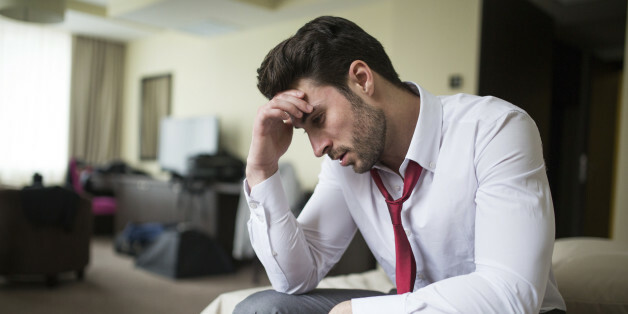 This typical macho-man image is created as such that if a man, who is emotional and cries, collaborates with his colleagues instead of competing, he is considered to be someone who cannot do anything in life. This is why when men come into a relationship with a woman, they try and take charge of everything be it financially or physically. They accept the roles defined by the society for them- providers and protectors. Men are taught masculinity lies in not being emotional and not expressing because this makes them look weak. Though it’s good to be strong and protective of your partner, yet not able to express yourself and share your thoughts can cause serious harm to the relations you are in. Your partner will always be confused as she will not be able to decipher what is going on in your mind. Emotions live in the background of a man’s life and the foreground of a woman’s. Whatever we have been taught since childhood is not always correct, and sometimes, in order evolve we need to break the barriers. Men are less expressive as they have been taught the same things since childhood – to be macho. But time has changed and millennial men are up for deep conversations with their partners. However, women need to understand that there is a difference in how men and women express, as they being new to the era of talking and sharing, it might seem that they are still hiding something. So, you need to understand them and give them to adapt to the changing conditions so they are comfortable. Also Read: 5 Hidden Secrets Girls will keep on forever! In order to share your feelings with your partner, you need to first understand and acknowledge your own feelings. You need to accept that you too, feel the need to share, you too feel the pain, you too want to cry out sometimes or want to hug someone when you feel low. When you are able to feel your feelings only then can you put them in words for the other person to understand your needs. We know it is difficult to instantly change, but baby steps are all you need and things will become easier slowly and steadily. After you have identified your feeling now is the time to say them out. You will feel vulnerable which is okay because never in your life have you expressed yourself or we can say never left you zone where you are all confident. Vulnerability will expose you in front your partner. You will lose your invincible image and become normal. Showing your emotions in front of the one you love is not wrong. In fact, it will help nurture your relationship. As now, your partner will now be able to know the real ‘You’. In order to loosen up with your partner and show them real self, it is important that you let go off your macho image. Not that you just let it go forever but with your partner, tender you is needed not the tough you. The tender you can embrace her and comfort her. When you plan on opening up with your partner but have no idea where to start from, listening to your partner’s feelings can be a good first step. It might seem easy to listen, however, it is definitely not easy to give someone your undivided attention and just understand their needs. Because along with being bad at expressing, men are bad listeners as well. So, in order to actually make a better relationship with your partner, listen to everything she has to say. While you listen to her, make an attempt to feel those emotions. Simply listening like a bull head and nodding does not help, so try and make way into the conversation by being empathetic. Now that you have done your part of explaining your partner about your feelings, and have expressed yourself in the best way possible, it’s time to ask for compassion, support and empathy. Ask her to be by your side in your ups and downs. This is the crucial part but if you are able to do this, then you have already taken your relationship to another level with your partner. Men and women have been brought up differently and so there is also a difference between their ways of expression. There are things men want women to know but will never say, likewise, there are few secrets that women will keep forever. It is imperative that we make ourselves aware of these differences, so that, we are able to converse successfully, while building relationships with other people. Though, it isn’t easy for men to open up with their partners because of the kind of notions that we have in our society, yet, if men are able to follow the above steps to highlight their feelings and share them – relationship will surely flourish. Every woman desires skin like a diva but not all are blessed with skin so gorgeous. And so, enter in the picture chemical peels, surgical face-lifts, Botox, or expensive hopes-in-a-jar. But what we tend to forget is to look around us because by simply using some household remedies can get you gorgeous skin. Just by using the simple products available in the kitchen of every household, the texture of your skin can be improved. Follow these simple steps to get your desired skin tone and texture. Starting with an oldie. We have been always told in order to keep our skin bright and vibrant water level in the body should be maintained. At least 6-8 glasses of water should be taken in order to get rid of the toxins. Lesser the toxins and chemicals in the body the better it is. Coffee present in the kitchen of every household works wonders for our skin making it smoother and shinier. A handful of coffee (organic is preferable) works as an amazing facial exfoliate and body scrub. It helps remove dead skin cells also the caffeine present tightens and firm pores. For problems like dry skin add 1-2 tbs of extra virgin olive oil. Aloe Vera gel is the definitive solution for all skin related problems. The nourishing and healing properties of Aloe Vera revitalize the skin thereby, giving it a more natural glow. Take 1 tbs of Aloe Vera gel, add a pinch of turmeric, 1 teaspoon of honey and 1 teaspoon of milk to it. Apply this mixture on the face and neck evenly. Leave it until dry. Rinse with lukewarm water and pat dry. 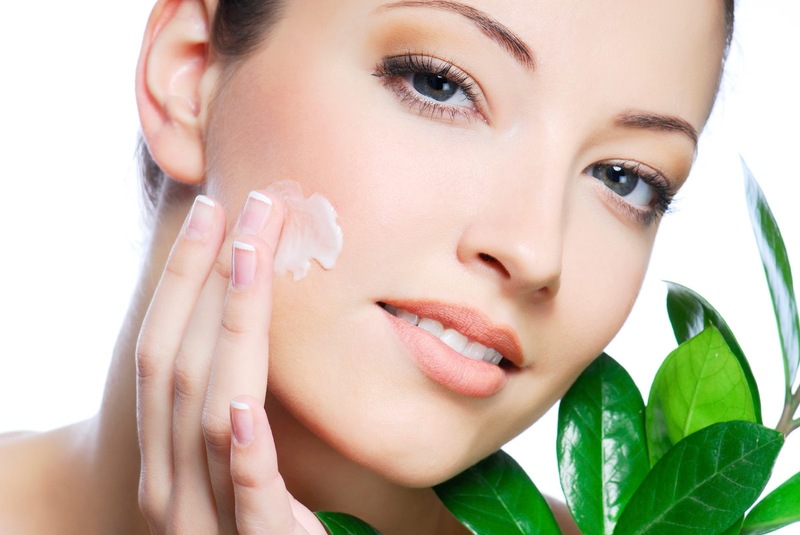 There are lots of fruits and vegetables that can be applied on the skin that help in keeping the skin healthy. For instance, scrape off the inner peel of banana and apply it on your face, leave it for 15 minutes and then rinse off. Massaging regularly helps increase blood circulation which further improves the firmness of your skin. It also helps reduce the wrinkle formation. However, we should follow the right procedure while massaging for best results. Exercising is the key to the healthy skin and body. Unfortunately, these days our routine has become such that the physical work and walks have been taken over by long hours of sitting behind laptop screens and TVs. A tad bit of working out is much needed to keep our body in shape and moving. Working out also helps the blood transport vital nutrients to the cells in the body, and also helps remove toxins from the body. One of the oldest remedies, in order to get rid of any skin problems, is steaming. Be it acne or anything else weekly steam helps enhance blood circulation and flush the toxins out. Water, too hot, whisks away the moisture from our skin making it too dry or cracked. So, in order to keep the moisture intact, we should avoid taking long hot water showers. 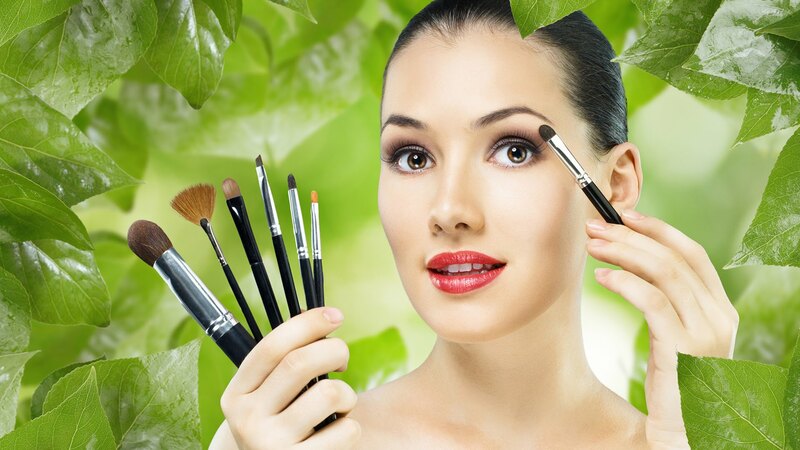 The celebrity makeup artists that give tips on beauty and makeup, strictly suggest that the makeup brushes that we use regularly should be washed at least once a week, or else the bacteria accumulates on them. When we use the dirty brushes on our face, the bacteria react on our skin clogging the pores, outbreaks on skin etc. So, in order to keep your skin healthy and vibrant, make it a habit of washing your tools with mild shampoo and warm water. Sugar intake should be reduced as sugar and other carbohydrates like white bread; white rice and etcetera can speed up the zit formation in the body which leads to skin aging.